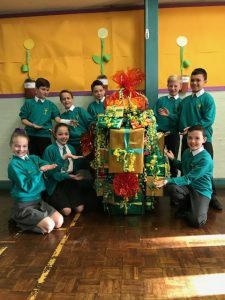 The Brick has commenced its annual Christmas Hamper Donation campaign with the launch of a food monster competition involving nine primary schools across the borough. 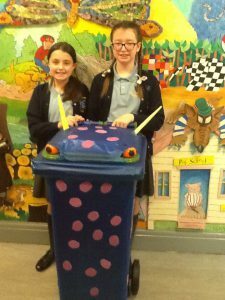 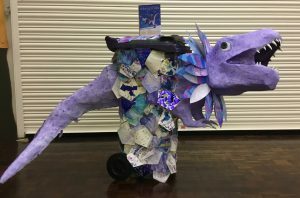 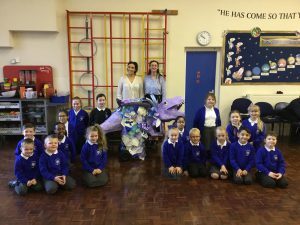 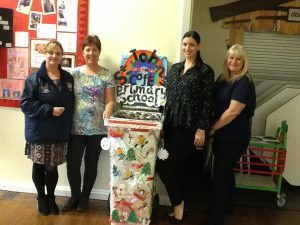 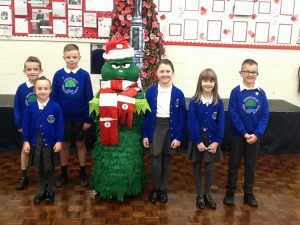 The primary schools designed and created festive food monsters for a range of Wigan businesses, where food and gifts will be collected to go into the Christmas Hampers. 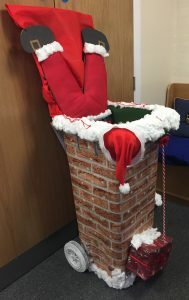 Each year The Brick provides around 150 festive hampers for vulnerable families. 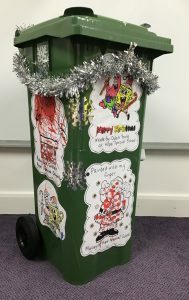 The hampers contain Christmas gifts, a traditional Christmas meal and festive food to cover the holiday period. 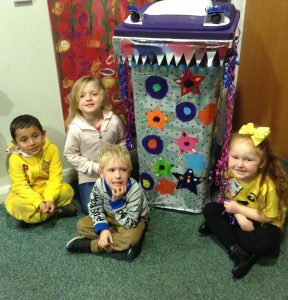 The food monsters started out as green wheelie bins and with an abundance of Christmas creativity, the children have all transformed the boring bins into fabulous festive food monsters to gain attention from passers-by, to collect as much food and gifts as possible. 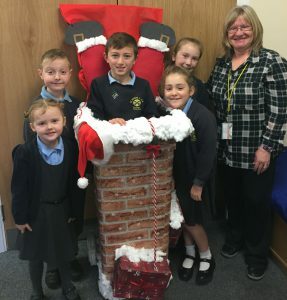 The Brick will be displaying the nine food monsters on our Facebook page from November 26th to December 7th where people will be voting for their favourite. 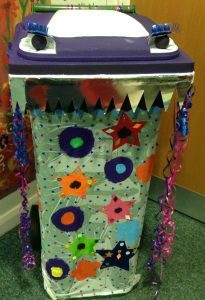 The winning food monster will be revealed on the 11th December and the class who designed it is set to win some great prizes! 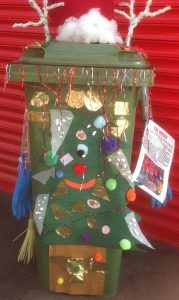 Alice Coren, Reuse and Recycle Coordinator from the Brick said: “Christmas is an extremely difficult time for vulnerable families as everyone wants to provide the best for their family. 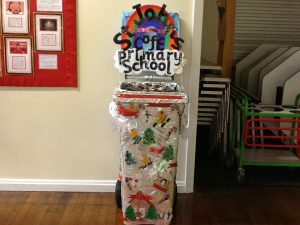 During school holidays this can be especially hard, as children aren’t accessing free school meals. 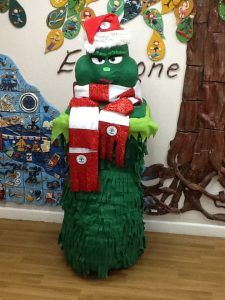 Winstanley County Primary Deputy Headteacher, Claire Gladman said: “All the children in school have enjoyed watching our Grinch Food Monster being created. 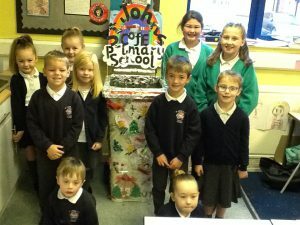 Year 5 Teacher at Saint Catharine’s C.E Primary School Year 5 Teacher, Ashley Coldron, said: “Christmas is a special time for everyone, and the children of St. Catharine’s have thoroughly enjoyed being part of a project which allows families in their community to experience the magic of Christmas, like they do. 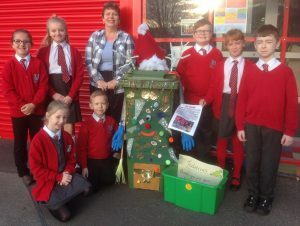 If you would like to donate food, toys or gifts, to Christmas Hamper Donation appeal, The Brick will be at Wigan Athletic’s Skills Hub on Montrose Avenue from Monday the 17th to Friday the 21st of December.